Save this for later or share with friends! My children and I are avid readers, so we’re always on the search for a new treat to read. Over in the Forest: Come and Take a Peek by Marianne Berkes is one of our new favorites! 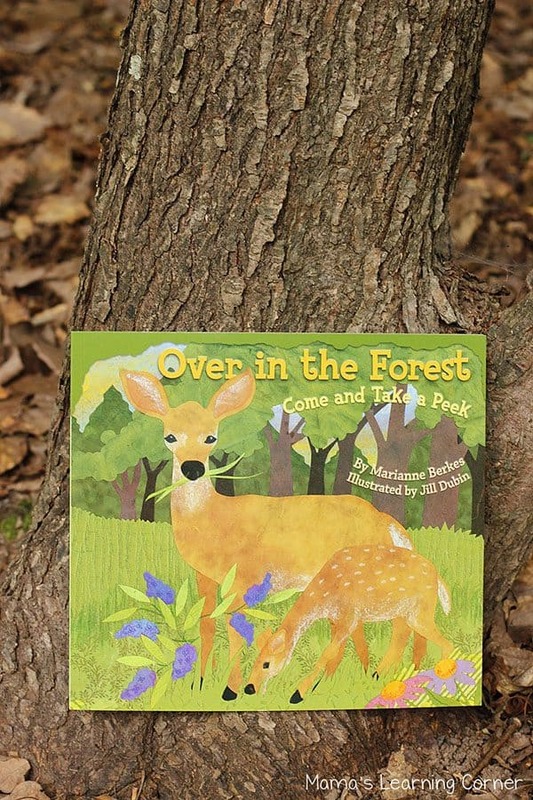 This cute forest-themed book is just packed with potential activities for young ones! My youngest daughter and I were first drawn to Over in the Forest: Come and Take a Peek because of it’s neat sing-songy feel. Each page features a particular forest animal, and describes a mother animal and her babies. While I initially liked the counting aspect of this book for my youngest child, it’s quite versatile for older children as well. We learn about habitats, animal tracks, and interesting baby animal names. For example, we learned that baby beavers are called kits and baby woodpeckers are called chicks. Also included in this adorable book is sheet music to which you can sing the rhymes on each page. 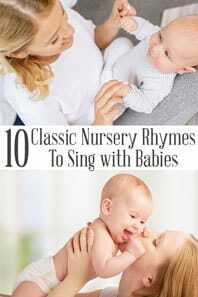 Even if you choose not to sing the rhymes, the rhythm of the text is captivating! Because I wanted to focus on the counting of animals in this book, I decided to make a set of Forest Animal Clip Cards. 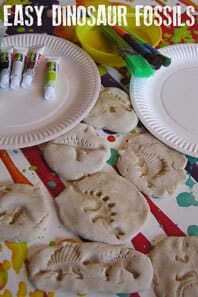 We have included links to the products and books used in this activity. If you buy from these links we may earn a small commission. 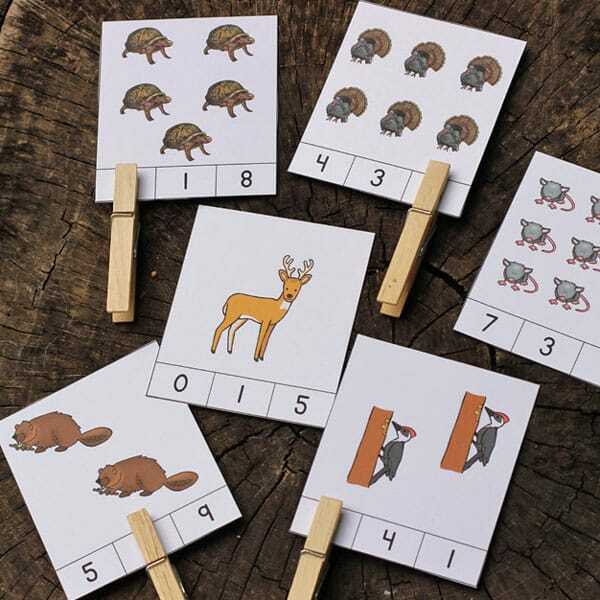 These Forest Animal Clip Cards are simple to print and assemble. After printing on cardstock, simply cut along the dark black lines. 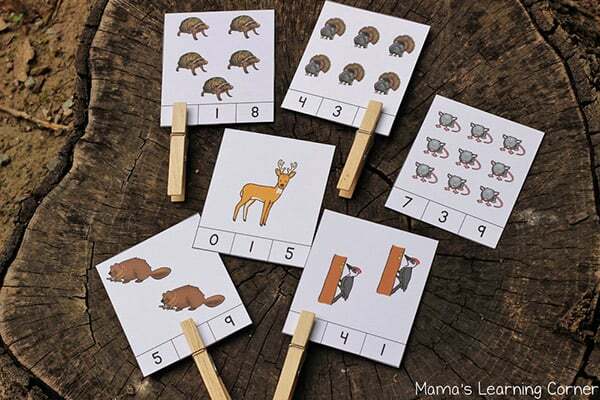 Provide your child a few clothespins, and off she goes to count each of the forest animals! To extend this activity, have the cards available when you read the book with your child. As you read each page, have your young one find the correct matching animal from the stack. Another idea: lay all of the cards face up on the table and have your child choose two. Brainstorm with your child how those two animals are alike and different. What do they like to eat? What likes to eat them? Is is a mammal? A Bird? Does the animal have live babies or hatch eggs? In what type of environment does the animal sleep? Is it nocturnal? Once you’ve exhausted the comparisons of those two animals, choose two different animals and brainstorm again. Lastly, use the book to describe how each animal moves. For example, the book tells us that the squirrels leap and the foxes pounce. 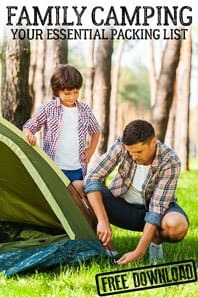 Have your child demonstrate each of those actions, and brainstorm other ways those particular animals move. It might also be a great time to introduce verbs and even adverbs, if your child is ready. How does the squirrel leap? Quickly! How does the fox pounce? Quietly. 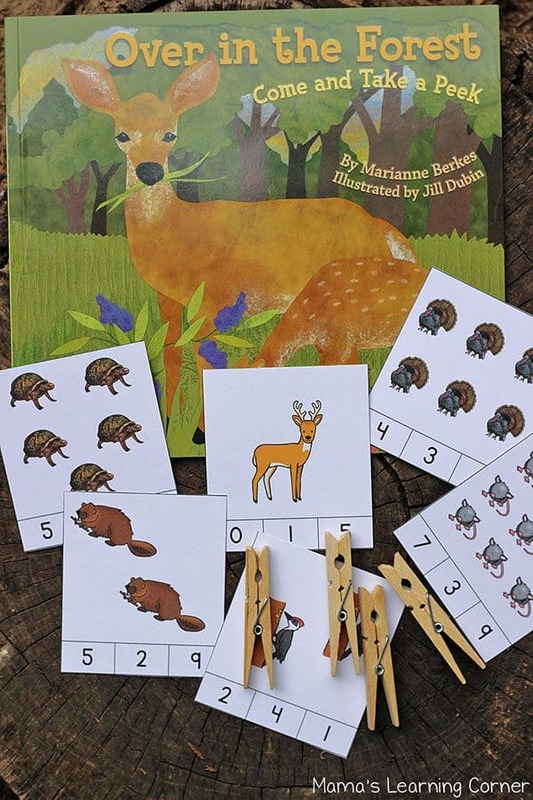 Enjoy using these Forest Animal Clip Cards with your own children or students! 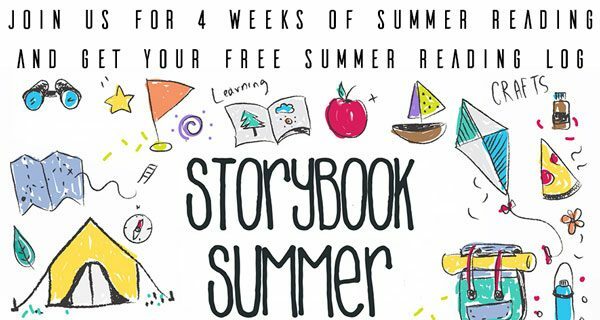 Join us for Storybook Summer and get your FREE Summer Reading Log. 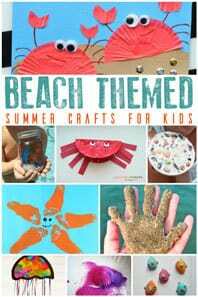 Plus 4 weeks of fun crafts and activities for kids based on 4 popular themes straight to your inbox. Lauren Hill is a mama of 4 and founder of Mama’s Learning Corner. 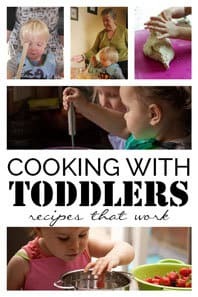 Find educational printables for Preschoolers through elementary grades, in addition to helpful resources and ideas for the homeschooling mom. 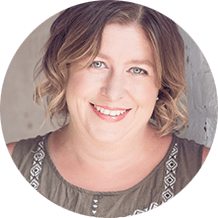 You can find Lauren on Pinterest, Facebook, and of course at her blog. Cerys is a marine biologist, environmental educator, high school teacher and mum. Realising that life doesn't have to be put on hold and you don't just have to survive whilst the kids are young she shares ideas to inspire you to LIVE with the kids, with activities to do together, recipes to cook and enjoy and family travel to make memories to last a lifetime. 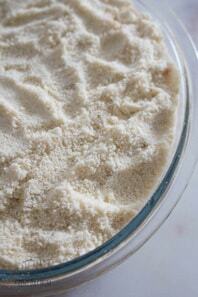 The content of this site is copyright of Rainy Day Mum. We give permission for the use of 1 image from a post and synopsis of the text. If you would like more information or wish to discuss this further please email cerys [at] rainydaymum [dot] co [uk].